The UC Davis Zinfandel Heritage Vineyard at Oakville Station is a vibrant museum of the zinfandel grape. 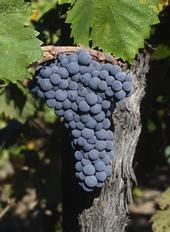 A quest to find the best zinfandel clones began in the early 1990s, wrote Ann Hanami of the Napa Valley Wine Examiner. UC Cooperative Extension viticulture specialist James Wolpert was getting feedback from winemakers about the poor quality of the four available commercial zinfandel clones from the Central Valley, whose main characteristics were high-yield, large berries and poor varietal character. Wine alcohol content is becoming more of an issue. Wine enthusiasts are taking note of a recent study by UC Davis agricultural economist Julian Alston and his colleagues that said the amount of alcohol in wine isn't always stated accurately on the label. Should added sulfites be allowed in organic wines? Some leading environmentalists in the wine industry are asking the federal government to allow sulfites to be added to wines labeled organic, according to a story in the Los Angeles Times. Currently, for a wine to be labeled "USDA organic," it may not contain added sulfites. The chemical occurs in small amounts naturally in wines but is considered by many vintners to be an indispensable preservative. Sulfites arrest fermentation at the desired time, and may also be added to prevent spoilage and oxidation at several stages of winemaking. The wine market decline is putting some people out of business. Like many business sectors, the California premium wine industry is suffering under the weak economy, according to an article published over the weekend in the Santa Rosa Press-Democrat. 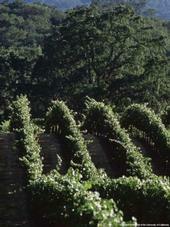 Wine produced in Napa and Sonoma counties used to be cheap alternatives to French wines. Now connoisseurs are turning to less expensive wines from Australia, South America and California's Central Valley.